The ongoing state of many organizations is one of change. People who experience major change tend to exhibit one of four patterns of response: entrenched, overwhelmed, poser, or learner. As a leader, you need to understand the patterns of response that people express and to customize intervention strategies to help them make the transition. People can pass through a given response stage and move to one that is more effective––especially if you provide timely intervention and support. 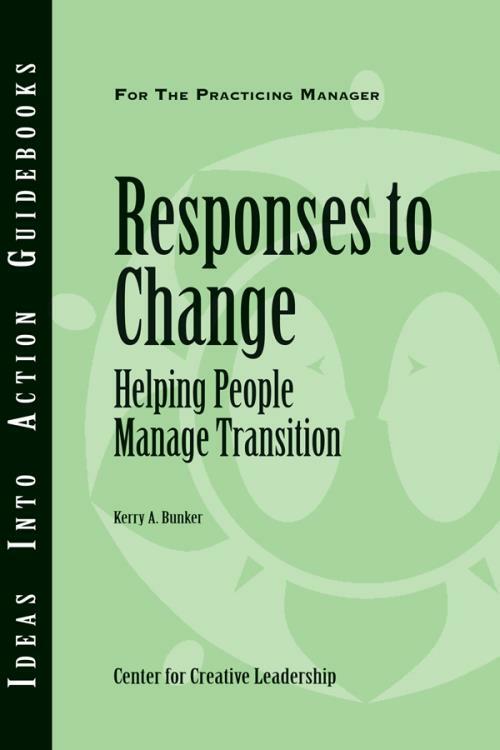 This guidebook will help you understand how people, including yourself, are responding to change and what you can do to help them move forward. Kerry A. Bunker is a Senior Fellow at CCL′s Greensboro campus. He is the manager of the Awareness Program for Executive Excellence (APEX) and Leading People through Transition. He has a Ph.D. in industrial and organizational psychology from the University of South Florida.